Blonde highlights are a great choice for women who want to make a change to their hairstyle. Adding highlights is a simple way to make a difference without having to spend too much on styling. Blonde colors can help to give the hair a beautiful sun-kissed look. It is possible to add temporary brush-in highlights to a hairstyle if your hair is already a light color. Brush-in highlights do not work well on darker base colors. Alternatively, you can get your stylist to add streaks of permanent color to your hair instead. Ombre styling is a great way to change a whole hairstyle. 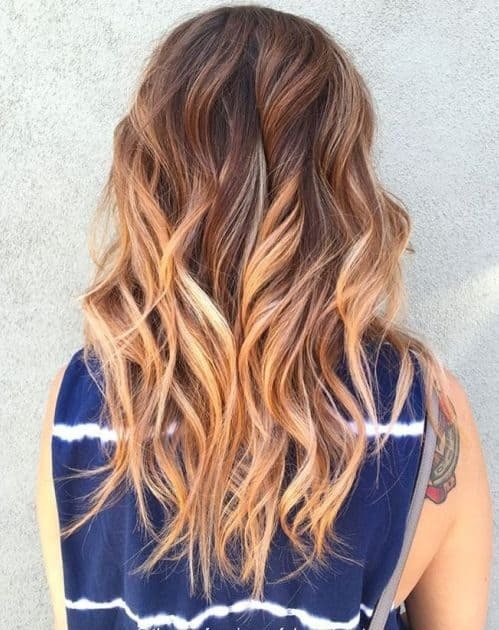 An ombre hairstyle goes from a darker shade to a lighter one. Light blonde tips on a dark blonde base help to give a real sunkissed look to a woman’s hairstyle. Copper blonde highlights look striking against a darker base color. This color is great for those who are going for a dramatic blonde hairstyle for women. Subtle highlights help to give your hair a healthy appearance and shine. These highlights help to catch the light. They look great on slightly curly or wavy hairstyles. Use your highlights to enhance your curls. Use irons to curl your hair so that the curls follow the lines of your highlights. The dark backgrounds will help your curls to stand out. For really glamorous curls, enhance your hair with a blonde ombre hairstyle. Keep the darker patch at the top straight but then add curls to the lower sections. Women who want a hint of red or gold in their hairstyle can choose strawberry blonde highlights. 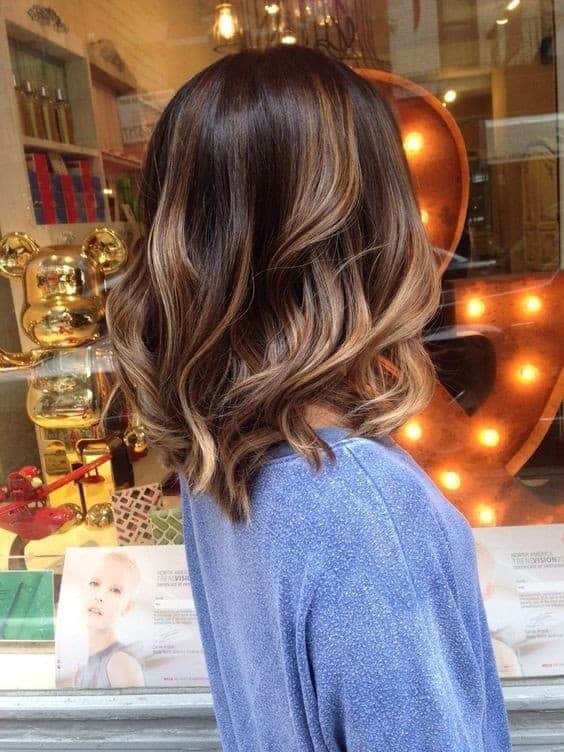 This color looks perfect when it is layered over mid-brown hair colors. Women with olive skin tones look great with dirty blonde highlights. The darker blonde color looks far more natural and it gives a beautiful sun-kissed look. Caramel highlights look lovely when they are layered over dark brown hair colors. This effect will really help curled hairstyles to stand out. The highlights add depth and texture to the hair. 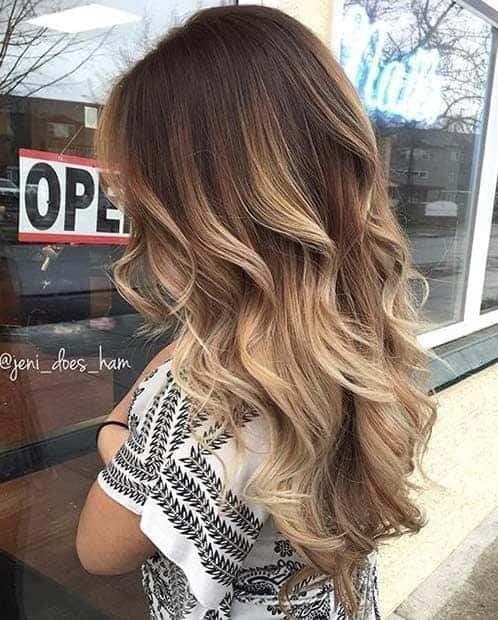 Ombre effect hairstyles can actually help your hair to look much longer. The color change effect creates an optical illusion which lengthens the locks. Blonde tips create a really sun-bleached look on longer hairstyles. The color change helps to add a lot of texture and depth to the hairstyle. This look is boho but can be worn by professionals too. Blonde highlights look great on lots of different hair colors. However, some women prefer different shades or hairstyles. Check out some of our different lists at hairstylesout.com! We have plenty of different lists to choose from.